How Much of the Current Lawn Area Do You Use for Walking, Play or Other Outdoor Activities? Consider making the grassy area just big enough to accommodate activities. If you have a pack of young children and a couple of dogs, the need for play space may push the active area to the limits of the property. If there are only adults at your address, however, a smaller lawn may help reduce the hours spent on yard maintenance. You might surround it with low-growing ground cover such as a flowering lawn. Are There Areas Where Grass Doesn't Like to Grow, No Matter What You've Tried? Deep shade, slopes, hot sunny spots, or high-traffic areas are unfriendly to standard turfgrass. In general, lawns are easiest to grow and maintain in sunny areas with little foot traffic and easy access to supplemental water. Trees and lawn don't get along well together; the reasons extend beyond the shade. (See our article on trees and turf.) Though some lawn grasses tolerate shade, most need a fair amount of sun and water to thrive. In other words, if you've tried grass multiple times and it doesn't grow in an area, consider a non-lawn ground cover such as sedge for the shade or sedum for full sun. Does the Size of the Lawn Add Curb Appeal? Or Detract? More is not necessarily better. One academic study showed that about one-quarter acre of the lawn is optimal. The health of the lawn may be more important than the size. Another study showed that landscape “sophistication” increases curb appeal, which means that appeal increases when the landscape includes a variety of well-designed features. 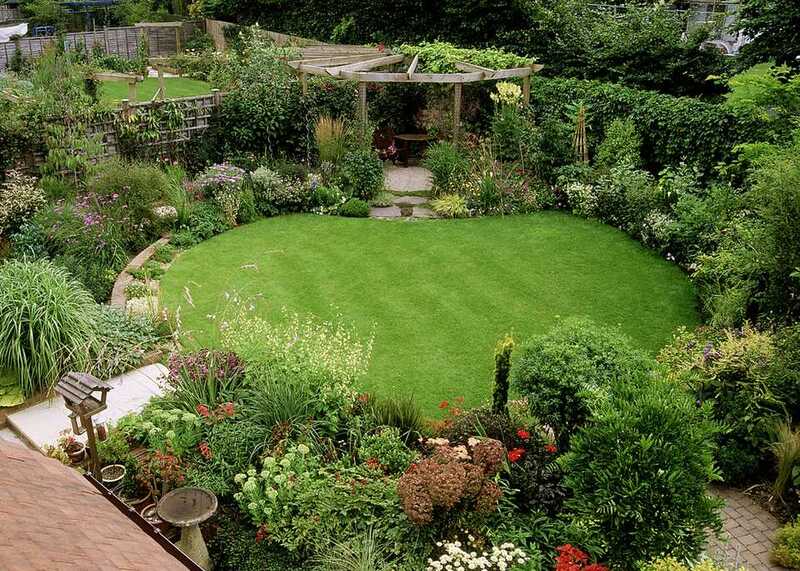 Does the Size of the Lawn Leave You With Too Little Privacy? If privacy is a problem, lawn replacements such as evergreen trees, shrubs, fences, arbors, trellises, and other features are better at than lawn at limiting visibility. Are There Unofficial Pathways Across the Property? Sometimes people make their pathways no matter where the stones and concrete point. If you have unofficial pathways, why not turn the over-trodden lawn into new gravel or stone paths? Are There Water Bodies on or Near Your Property? Many locales regulate the use of lawn care products near streams, rivers, ponds, and lakes, even if the products are organic. (This protects public water supply as well as wildlife.) If water runs through or close to your property, you may want to surround it with a 20’ vegetative buffer rather than a lawn. What Is the Best Proportion of Lawn to Other Landscape Features, Most of All the House Itself? The answer to this is unique to your property, but one rule of thumb is to take a photograph and then draw a circle around the house about equal to the height of the house. The circle roughly represents the visual area where foundation gardens, pathways, lighting, and seating areas can help accent the house and balance it in the landscape. Landscape proportion is a complex topic worth some deeper thinking. For a good discussion of this and many other design concepts, see Your House Your Garden: A Foolproof Approach to Good Garden Design by Gordon Hayward (2003, WW Norton). This book earned the American Horticultural Society’s Annual Book Award for 2004. One or more of these questions may help you decide if your existing lawn is the right size. How Does Leaving Grass Clippings on the Lawn Help You?